(CBS) Planning a trip to Germany? Choose chicken over the wild boar. Germany's wild boar population is skyrocketing, and that means more boar meat for dinner. Regrettably, 25 years after the Chernobyl nuclear meltdown in neighboring Ukraine, much of that meat is radioactive, according to Spiegel Online. Wild boars love to eat mushrooms and truffles, which is why they are especially susceptible to radioactive contamination, says the magazine. And mushrooms are extraordinarily efficient at absorbing radioactivity. It is illegal in Germany to sell meat from animals containing high levels of radioactive material, and animals that test positive are not permitted to be brought to market. In some parts of Germany, particularly in the south, wild boar routinely show unacceptable levels of contamination.The government is forced to compensate hunters for the ruined meat. 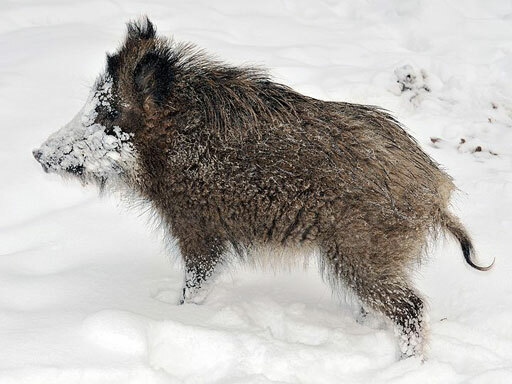 The problem is not likely to go away any time soon, experts told Spiegel.. "The problem has been at a high level for a long time," says Joachim Reddemann, an expert on radioactivity in wild boar with the Bavarian Hunting Federation. "It will likely remain that way for at least the next 50 years."